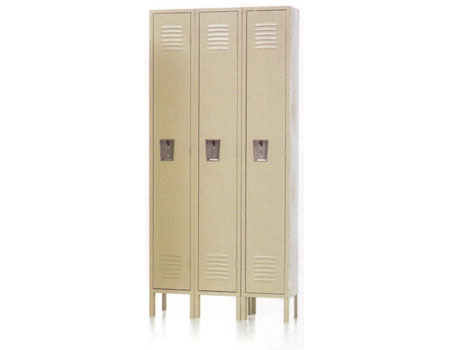 All single tier locker bodies are fabricated from premium quality cold rolled steel. Heavy duty 16 Ga. steel doors can easily withstand years of use and abuse. The recessed stainless steel handles have a plastic-protected lifting trigger that's punched to accept a padlock or built-in lock. 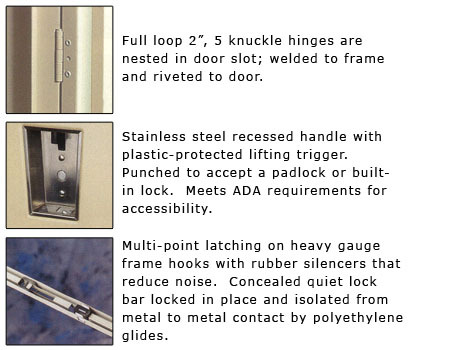 Each latching mechanism is comprised of a reliable, time-tested multi-point latch that ensures maximum security. 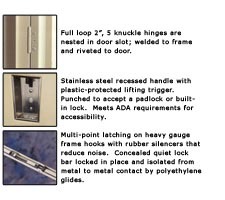 Further, a concealed quiet lock bar is locked in place and isolated from metal to metal contact by polyethylene glides. Built-in louvers provide ventilation. Dimensions listed are inside locker dimensions. A 1-wide model consists of 1 locker. All of these models are in-stock for quick-shipment. For customized locker installations, please call us at 320-485-4974. 6" legs included for overall height of 66" or 78"
Based on the price I paid, I was surprised to see the quality is excellent on these box lockers. Your pricing is were lower than others I have bought from online and the quality is as good or better. Can you get different colors and if so how much are they? I shopped several sites including the larger catalog houses like Grainger, Fastenal and Northern Tool. I found the pricing on this item to be substantially cheaper than any other the other sites could provide. I ordered the items here online and received them as promised and was very happy with my entire shopping experience with SJF. I will be back when I need other items. 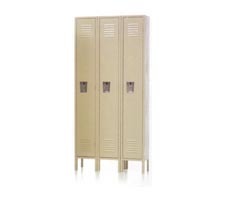 I saved over 30% buying lockers from SJF instead some big online catalog company I can't list. I told their rep over the phone to look at SJF's site and the advertised prices and asked them to explain why charge so much. He stated that it was due to the service they offer and their so called "free" shipping. I said I don't care how big their company was or what service they offered. It wasn't worth paying 30% more for. They lost my business and SJF earned mine!